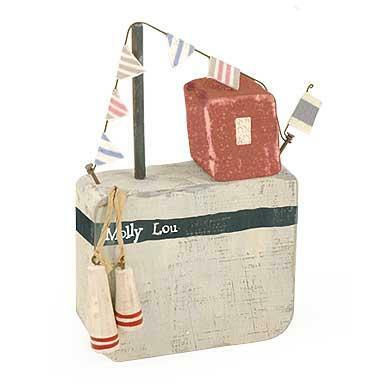 Little wooden boat, named 'Molly Lou'. 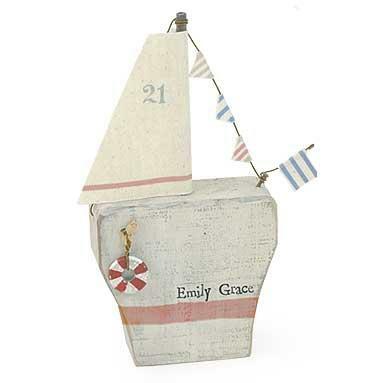 Little wooden boat, named 'Emily Grace'. 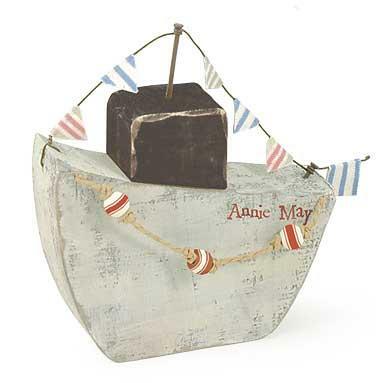 Little wooden boat, named 'Annie May'. 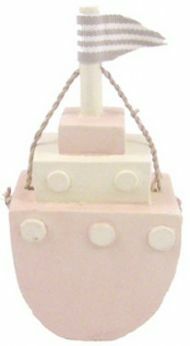 Little wooden striped beach huts. 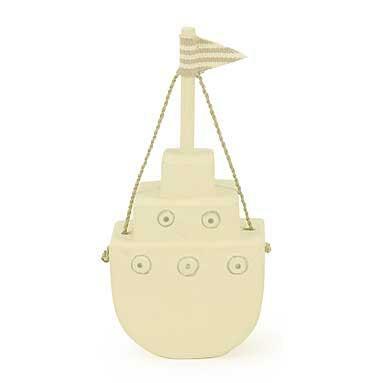 Four different designs numbered 1-4. 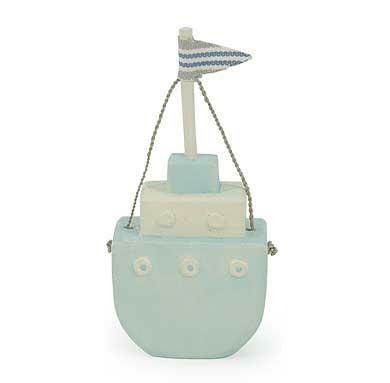 Little wooden tug boat with mast, string and flag attached. 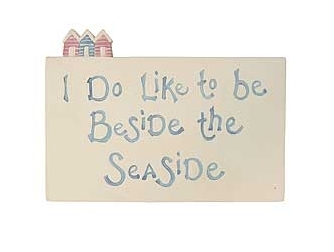 Wooden block reads "I do like to be beside the seaside"